West Oahu SUP and sport's mission is to be the premier ocean sport activity center on the Waianae Coast which is a beautiful coastline area where you will see nature at it's finest. This is the real country of Oahu. Away from the lights, noise of crowds from Waikiki and the North Shore. 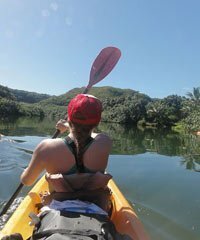 About an hour outside of Honolulu, West Oahu SUP is an Eco-Tour company that is striving to help people become better stewards of the land and ocean through education, cultural traditions, and personal interactions with visitors. 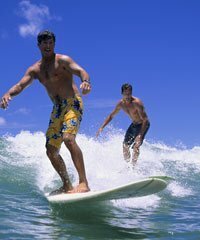 The staff is made up of experienced local waterman, lifeguards, professional surfers and paddlers. All are CPR and First Aid Certified. 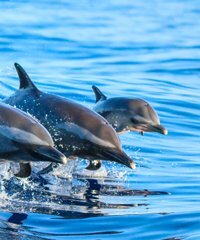 Although the beaches off Waikiki and Honolulu are the most frequented by visitors, some of the most exotic waterscapes can be found on Oahu's eastern and northern windward coasts.